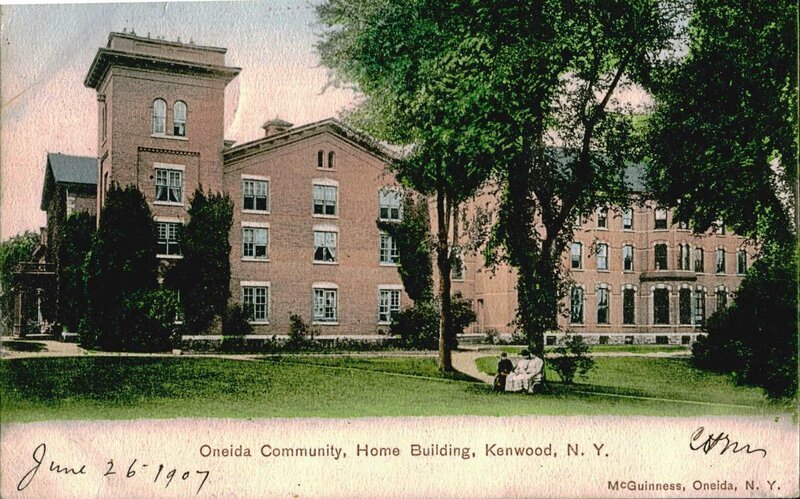 From 1848 to 1881, the Oneida Community resided just outside Oneida, NY. Founded by extremely religious preacher John Humphrey Noyes, the community strived to lead its life parallel to the ideals of Perfectionism, in which its member “persevered in a course of self-improvement, overcoming many obstacles.”1 Among some of Noyes’s greater ideals, he lived to help the anti-slavery cause. In The Hand-book of Oneida Community, Noyes states, “My heart was greatly engaged in [anti-slavery] work. At Andover I had become interested in the Anti-Slavery cause, and soon after I went to New Haven I took part, with a few pioneer abolitionists, in the formation of one of the earliest Anti-Slavery Societies in the country.”2 Certainly J. H. Noyes invigorated the members of his community to think in the same way. How, then, can one say that the Oneida community was really built of J. H. Noyes’s fascination of the anti-slavery movement? It seems that the community members have a problem with allowing the African-American singers to be on a level ground with whites. As mentioned before, the author stated that the students had “wholly untutored minds,” although they all studying at Fisk University. I believe that shows that the Oneida Community had fallen away from its markers original ideals. 1 Oneida Community, Hand-book of the Oneida Community: With a Sketch of Its Founder, and an Outline of Its Constitution and Doctrines. (Wallingford, Conn. : Office of the Circular, Wallingford Community, 1867) 8 . 3 H, W. B. “The Jubilee Singers.” Oneida Circular (1871-1876) 9, no. 16 (Apr 15, 1872): 126. http://search.proquest.com/docview/137675405?accountid=351.